The philosophy of Martial Arts dictates that a Tranquil Warrior who has purged himself of desires, fear, and aggression has a vast advantage, because the fear of death is not a part of the Tranquil Warrior's nature and does not hamper the instinctive reactions of the body. Nothing distracts a Tranquil Warrior. That is why his reactions are instantaneous, like in a mirror reflecting external events while staying out of their reach. In the esoteric aspect an imperturbable Warrior had a bio-energetic advantage because His mental power, 'the bowl of energy' was not wasted on emotions and unwanted distractions. By keeping his consciousness in the state of Tranquility, a Warrior avoided the influence of Nature's cycle of contrary forces (Yin and Yang) that is typically ripping apart biological energy of ordinary people, making them weak. If you lose self-control, you start being afraid. Willpower, unflappable courage, and determination, together with strength and polished skills, will always help you when you face danger. You will be the master of any situation. If a warrior is not unattached to life and death, he will be of no use whatsoever… With such non-attachment one can accomplish any feat. Martial arts and the like are related to this insofar as they can lead to the Way. 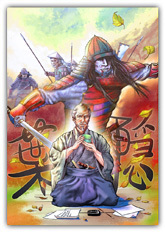 Martial arts Masters of the past taught that a samurai must comprehend the truth of life and death. Karate-Do and other varieties of Martial arts seek liberation from the thought of life and death. Studying the martial Way is like climbing a cliff: keep going forward without rest. Resting is not permissible because it causes recessions to old adages of achievement. Persevering day in, day out improves techniques, but resting one day causes lapses. It is not that hard to find the truth or even the Way. But it is hard to keep it in your heart and mind at all times, truly ADHERE to it, and never betray it. A samurai should be learning constantly, perfecting himself, following the Way of Ascension until the last moment of his life. Even death is not an obstacle for him. One renowned samurai said, I am getting older, but I learn all the time! Use every day of your life! 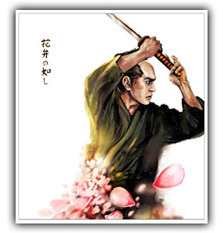 The main quality of a samurai is his rigidly harnessed will; the will well-honed as a sword's blade; the will well-tempered by the readiness to die. It is important to make one's whole life in training and therefore not aiming for skill and strength alone, but also for spiritual attainment. The way of the warrior is about mastering martial arts, but the most important thing is to learn how to use them in real life. Martial arts are a method of bringing to realization, on this earth, the love and destiny of all things as woven by the Universal. The ultimate aim of all martial arts is not having to use them. War becomes possible, only if the adversary has reasonably good chances for victory. Only a fool may stir up a conflict with no chance of success. That is why Bushido says: exercise, always be prepared for war, improve and you will not have war. The soul is key to everything. Comprehend the spirit, master it, and you will understand that you possess something that is beyond life and death, something that will not drown in water or burn in fire. The man who would be a warrior considers it his most basic intention to keep death always in mind, day and night, from the time he first picks up his chopsticks in celebrating his morning meal on New Year’s Day to the evening of the last day of the year. When one constantly keeps death in mind, both loyalty and filial piety are realized, myriad evils and disasters are avoided, one is without illness and mishap, and lives out a long life. In addition, even his character is improved. Such are the many benifits of this act. The Warrior feels the appeal of risk and intuitively starts understanding that the spirit calls him to death. The spirit calls to death! A samurai should not lie neither in action nor in the heart. 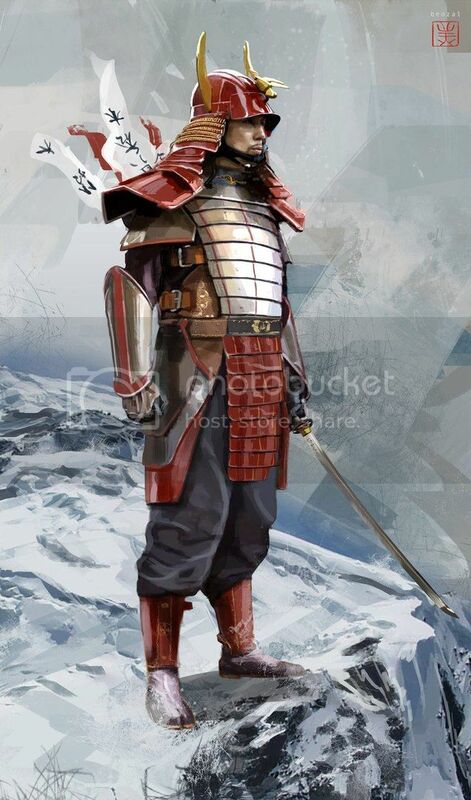 A real samurai should meet death in a more tranquil state of mind than he usually is. This is where the difference between samurai and common people lies. Death comes to all – the great and the small. Death reaches you without taking into account if you are prepared to meet it or not. But not all people are prepared for the fact of death. However you are inclined to think that you will outlive everybody. It deceives both you and others. Death stalks you before you know it. Facing death be sure that you meet it fully prepared. The life of the Warrior is based on understanding death. Death is the cornerstone, the initial and final point of the Warrior’s philosophy; alpha and omega, the beginning and the end that form a circle. To die properly a man must at first understand deeply what for and how he should die. Enjoy life, but be capable of leaving it at any moment. You cannot calculate your life any further than the time needed to take one breath. Not the death itself is important for a warrior, but determination to die any moment at his own will. It is hard for anybody to break free from the idea of death. It is a professional duty for a warrior. The idea of death is an obstacle. Overcome it! if possible, it should be better. avaliable as an eBook (for Windows, Android, iOS) and a hardcover book (pre-order only).